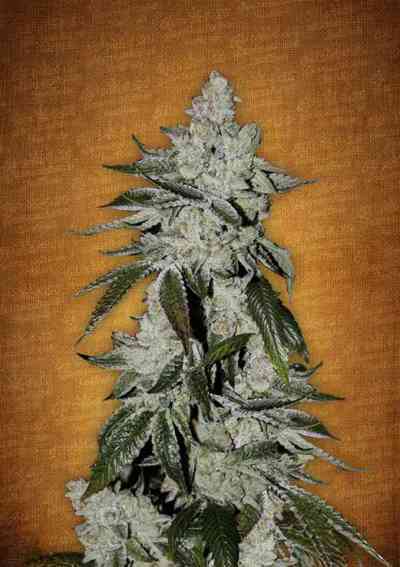 Homegrown Fantaseed Big Bud is a well known cannabis strain with an extremely large harvest and with a happy effect. Less known is the fact that this almost pure indica has been carefully refined and constantly improved over years. First, Big Bud was a hardy afghanica infused with skunk genes. This hybridization possesses incredible strength and record-breaking yield. No surprise, it quickly became a popular commercial marijuana variety. When this original clone made it to Holland, it gave rise to several stable marijuana seeds strains, including a back-cross with Skunk #1 and a very popular hybrid of 75%Big Bud x 25% Northern Lights No.1. The current version of Big Bud is a seed which keeps the vigour of the original clone and benefits further from sweet, fruity flavours and a great improvement in potency. Naturally, the enormous production remains the central feature of the Big Bud original seed. Plants requiring the full flowering time will grow a little taller and are usually the heaviest-yielding examples. Big Bud’s stems are thick and sturdy, yet the masses of giant, sweet, sparkling buds they produce can grow heavy enough to bend and even snap them, so the most promising branches should be supported with string or tensioned wire. Being a typical indica, Bid Bud cannabis seeds grow into short quickly maturing cannabis plants with a flowering period as short as 7-9 weeks. It stays compact and is easy to manicure making this an ideal variety for the indoor cash cropper. Big Bud performs well both in a group of the green or as a bigger individual plant. It also grows well outdoor in the right condition (temperate climate only) where its early flowering can be the winning point. While growing, Big Bud stays compact but will stretch if left unattended and can triple in size at the change of the light cycle. These gigantic buds have a deep green colour, are extremely heavy and dense with a rich, hash like aroma. Big Bud will knock you out with a long lasting indica type stoned feeling.